Dr. Ghushchian teaches several courses in Statistics, Econometrics, and Economics at American University of Armenia (AUA). He received a doctoral degree from the University of Colorado Boulder in 2006. Prior to joining AUA Dr. Ghushchian was an Assistant Research Professor at the University of Colorado. 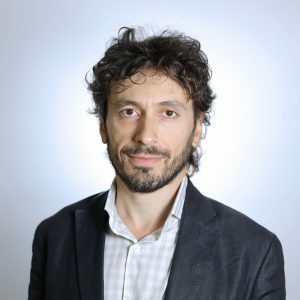 Dr. Ghushchian is an active citizen; in Colorado, he was the Chief Economist for the State of Colorado drug utilization review program. In Armenia, he was a founding chair of an independent FDA audited ethics committee. Currently, Dr. Ghushchyan is the President or ISPOR Armenia Regional Chapter. Dr. Ghushchian has published several articles on Health Economics and Outcomes in peer-reviewed journals. In the past 10 years, his work has been cited more than 3000 times. His research is mainly in health economics and outcomes with an emphasis on issues related to health utility and other patient-reported outcomes, health technology assessment, and health-related workplace productivity. The major goal of Dr. Ghushchian’s research is to improve society’s health and well-being. Health Disparities Among Children with Asthma in the United States by Place of Residence. Sullivan PW, Ghushchyan V, Kavati A, Navaratnam P, Friedman HS, Ortiz B. J Allergy Clin Immunol Pract. 2019 Jan;7(1):148-155. Estimating asthma control questionnaire (ACQ) scores from claims data. Sullivan PW, Ghushchyan VH, Globe G. J Asthma. 2018 Sep;55(9):1002-1010. The national burden of poorly controlled asthma, school absence and parental work loss among school-aged children in the United States. Sullivan PW, Ghushchyan V, Navaratnam P, Friedman HS, Kavati A, Ortiz B, Lanier B. J Asthma. 2018 Jun;55(6):659-667. School absence and productivity outcomes associated with childhood asthma in the USA. Sullivan P, Ghushchyan VG, Navaratnam P, Friedman HS, Kavati A, Ortiz B, Lanier B. J Asthma. 2018 Feb;55(2):161-168. Oral corticosteroid exposure and adverse effects in asthmatic patients. Sullivan PW, Ghushchyan VH, Globe G, Schatz M. J Allergy Clin Immunol. 2018 Jan;141(1):110-116. National Prevalence of Poor Asthma Control and Associated Outcomes Among School-Aged Children in the United States. Sullivan PW, Ghushchyan V, Navaratnam P, Friedman HS, Kavati A, Ortiz B, Lanier B. J Allergy Clin Immunol Pract. 2018 Mar – Apr;6(2):536-544. Gayane Barseghyan has joined the AUA as full time faculty in 2015. Dr. Barseghyan teaches various Economics courses to bachelors and masters students and supervises theses. 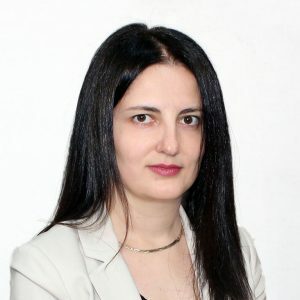 Prior joining AUA, she held a senior economist position at the Central Bank of Armenia. She has received her PhD degree in Economics from Yerevan State University in 2013. Her research interests are primarily in the areas of Macroeconomics and Monetary Economics. Dr. Barseghyan has received grants and awards for her research and has published articles in international peer-reviewed journals. Barseghyan G., Hambardzumyan H. The Effects of Exchange Rate Volatility on Exports: Evidence from Armenia, Applied Economics Letters 25, 1266-1268. 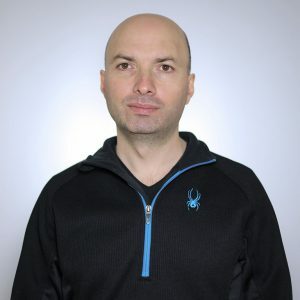 Vardan Khachatryan has joined the MSCBE team in December 2015 as an Adjunct Lecturer of Foundations of Management and Introduction to Finane Theory courses. Dr. Khachatryan taught several courses on finance and economics to graduate students at Armenian State University of Economics from 2009-2012, where he was awarded a PhD in Economics in 2009. He has published several articles on economic and financial topics in Armenian. He is also activity involved in mentorship programs organized by USAAA and US Embassy in Yerevan. 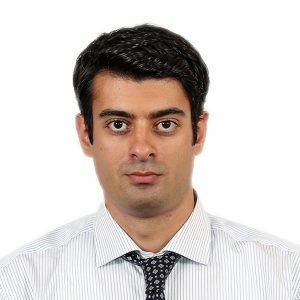 His research interests are in asset pricing (using derivative pricing methodologies in corporate finance valuation), value investing (fair value determination based on fundamentals and margin of safety), using machine learning methods to forecast activist investing, macroeconomic research and organizational behavior issues in corporates (leadership theories and psychological issues in management). In parallel to his academic career, he has occupied managerial positions in the financial services sector at Ameria Group of Companies, firstly as a director of asset management business than as a vice president at Ameriabank’s Investment Banking Operations. His experience also includes working at investment management division at Central Bank of Armenia for over five years as a portfolio manager. Dr. Khachatryan is also involved in different consulting projects as an expert both in private and public sectors of Armenia. 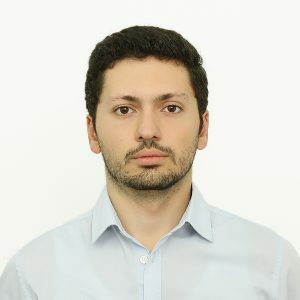 Dr. Khachatryan has an MBA from INSEAD as well as a CFA level III Candidate.